At the end of the road where the Bedell Bridge used to span the CT River between VT and NH, this historic property is the site of the Toll House for river crossings. 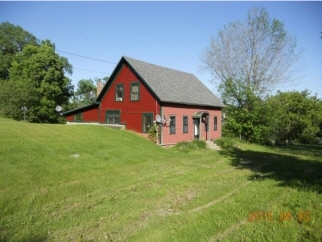 Expanded to 3 bedrooms, the Toll House sits high above on the River's edge with a large deck overlooking 250' of river frontage and NH farm land across. A separate carriage house offers guests a separate cozy house with cathedral ceilings and garage. Add 2.84 acres of fields with barn for horses or pets and you a have a one-of-a-kind Connecticut River property.